People use their iPads for everything from entertainment to emails–but not for serious writing. Tweets yes. Novels? Heck no! Mainly because the native keyboard is literally a pain in the neck! This limitation does seem to disqualify the iPad from being a bona fide writer’s tool, but there are ways to convert your base model tablet into a suped-up wonder machine for serious writers. Remember how the artistes on the popular TV show Pimp My Ride transformed bomby old cars into sleek sets of wheels? 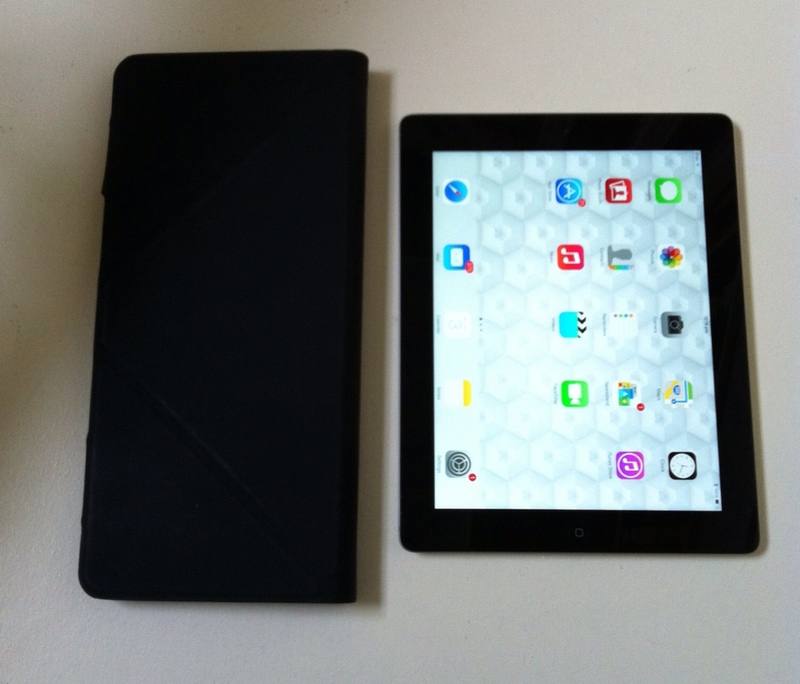 In this series of posts, we’re going to Pimp Your iPad. First up: iPad accessories. Ditch that useless native keypad. It might be fine for a tweet or two, but not for a novel—or even a novella! It takes up half the screen and it forces your arms into an awkward position, and the only one who’ll be happy about that is your chiropractor. 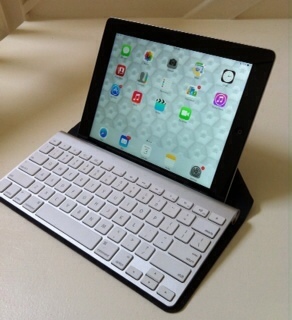 Transform your ho-hum iPad into the equivalent of a literary NASCAR by pimping it with a proper keyboard. Oh, the freedom that comes with speed! No clunky keys, no ridiculous auto-corrects, no teeny-tiny screen. 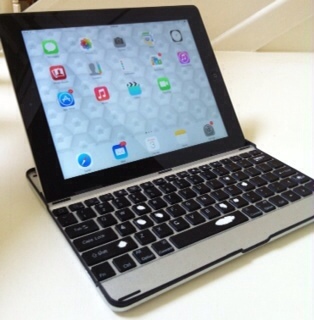 A real keyboard takes typing on the iPad from tedious to terrific. I’ve literally worn out a few brands of keypads, so I’ll share with you what I’ve gleaned along the way. You can spend a lot or a little on this pimp, but the critical feature is a natural-feeling keypad. The rest is froufrou. Here are five models to consider and, at the end, my Pimp-Your-Write pick. Cons: The connectivity can be finicky; can’t be used while recharging; offers protection only against scratches on the iPad glass; kind of flimsy; iPad can fall out of the keypad (not recommended for your lap). The Origami Workstation is clever and light–a real design coup. This keyboard “feels” great. It should—it’s a full size Mac keyboard. It’s brilliant—when it works. I experienced all kinds of basic issues with the power, which you I wouldn’t expect from an Apple product. Apparently it’s a common enough problem to have forum topics devoted to it. It was on one of those chats I found a tip to improve the battery performance: wad up a ball of aluminium foil and drop it between the battery and the connection point. But come on! I just want to type without having to conjure my inner MacGyver. The battery business is exasperating and expensive. I got sick of it about 12 months ago and haven’t used it since. Why oh why did Apple not make it rechargeable? Incase Origami stand becomes a case. Pros: best keypad action and feel; light; sturdy; the stand/case combo is clever; plenty of trouble-shooting help on the Net; looks sleek and stylish. Cons: expensive (~A$90 for the keyboard, ~A$35 for the Origami Workstation ); batteries are annoying and expensive; on/off is confusing; Velcro on the stand eventually gets “clogged” and stops sticking; 2 extra bits (light, but clunky) to carry around; offers no protection to the iPad; connection is not always reliable. This is my “slick upgrade” after the motorcycle incident. It’s what you call a “Clam Shell” keyboard because the parts are hinged together. This model snaps on to the iPad and has a bracket holding everything together. It looks smart, but it’s not as smooth and simple to operate as it looks! It takes a while to figure out how to get it to open and close and when you do, the angle is uncomfortable. That lovely keypad is deceptive and disappointing. The keys stick, repeat and hiccup. I had to learn to type all over to cajole it into working, and the constant correcting of doubled letters meant my speed was halved. Pros: offers some protection of the iPad; nice looking, heavy-duty components; nice feeling keys; compact; rechargeable (and you can work on it while it’s recharging. It takes about 3 hours to charge and lasts for weeks); price at time of writing is reasonable: ~A$36; Comes in hot pink, lime green, cobalt blue, and black. Okay, but not 100% secure for laps. Cons: SO HEAVY! I feel like I’m lumping my old laptop around or two iPads; keys stick and double, making typing a nightmare; connection is a little finicky but slightly better than model #1; the angle is too steep when the iPad is in landscape orientation. Logitech has an excellent reputation for quality equipment. Supe-up your iPad with any Logitech keypad and you’ll be set for any kind of writing. 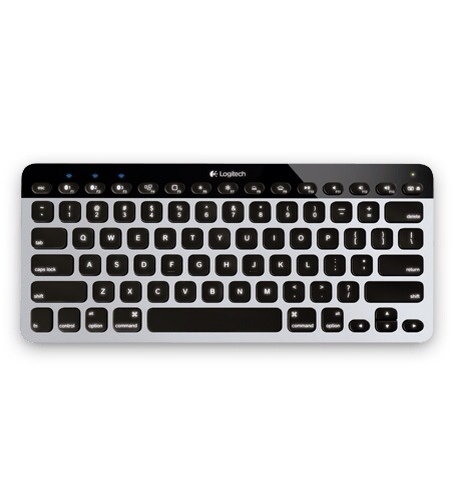 Pros: reliable; high quality keypad; nice key stroke; ultra-light; the cover cleverly converts to stand. Very nice, full-sized keypad that allows you to move between devices at the switch of a toggle. Great for the desk, but it’s not so portable. You’d need to create a case for it to protect it. Pros: nice “springy” action on the keys; auto-adjustable illumination; rechargeable; sleek and thin; works on multiple devices and allows toggling between them. Cons: expensive; not designed to be portable. It’s not flash, but it works. If it wears out, you buy another, something the low price allows. Mine has been going strong for +2.5 years. The worn lettering is the only significant sign of wear and tear. NB: The SANOXY® Aluminum Apple iPad 2 Mobile Bluetooth Wireless Keyboard Cover Case ($14.50 on Amazon) appears to be identical. This was the one that had the encounter with a moving motorcycle, and I found no difference except it had white keys and was $20 cheaper than the PadType™ Wireless Keyboard and Aluminum Case for iPad 3 or 2. Both are available on Amazon, and I bet you can find them on eBay too! Have you pimped your iPad? Share your tips in the comments! Watch for more pimpin’ posts in this series, iPads for Serious Writers. Does the iPad Cut it as a serious writer’s tool? Next up: Apps to Pimp Your iPad!